Their adventure as a couple started about 9 years ago. Two weeks after graduating from high school, Jennifer and Sean went swimming, and like any true love story, walked along the beach and the pier — SWOON! 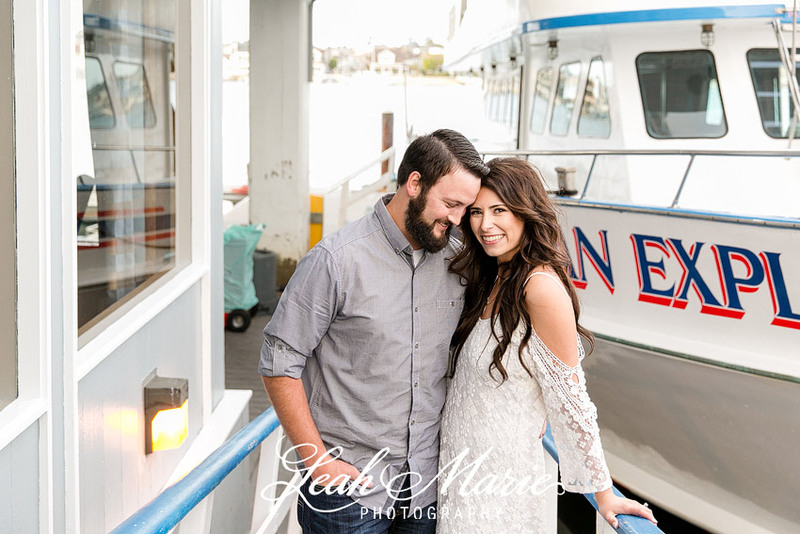 — The fun loving couple decided they were going to spend the rest of their lives together when Sean proposed while the couple were whale watching in Newport. As we got to know Jennifer and Sean, we knew we wouldn’t be able to fully capture their personalities in one location, so we decided to explore the Great Outdoors in this land and sea engagement photo session. 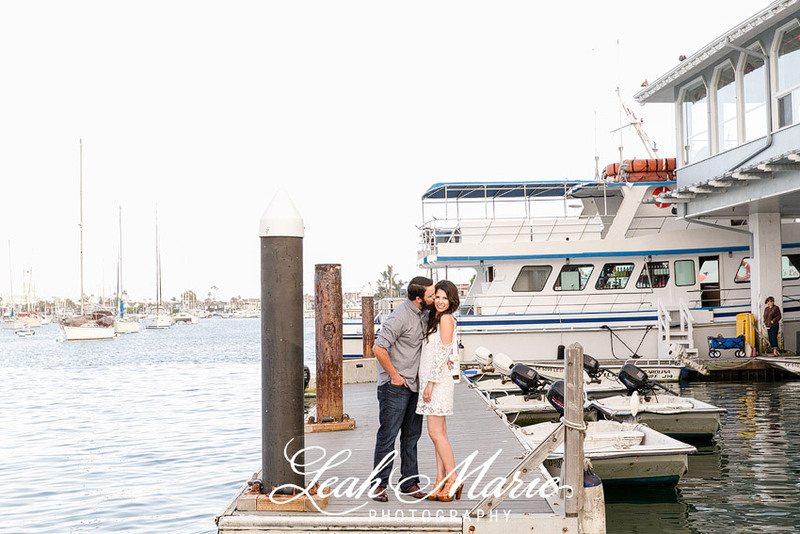 We thought the best place to begin the journey was seaside by the pier, and we loved their nautical themed, tackle box save the date! We continued on as we traveled inland to a beautiful camping destination, where there was no shortage of love as the Jennifer and Sean showed off their fun, playful side, as well as their serious side in these romantic photos. We try to capture the different personalities our couples have- You can truly see all of the passion and love between Jennifer and Sean in their engagement photos. By using the two different locations, we were able to capture a variety of their interests and hobbies as well as two completely different looks for variation within their engagement photo gallery. Jennifer and Sean it was so much fun being able to travel with you, and we are so excited to be a part of your wedding day!